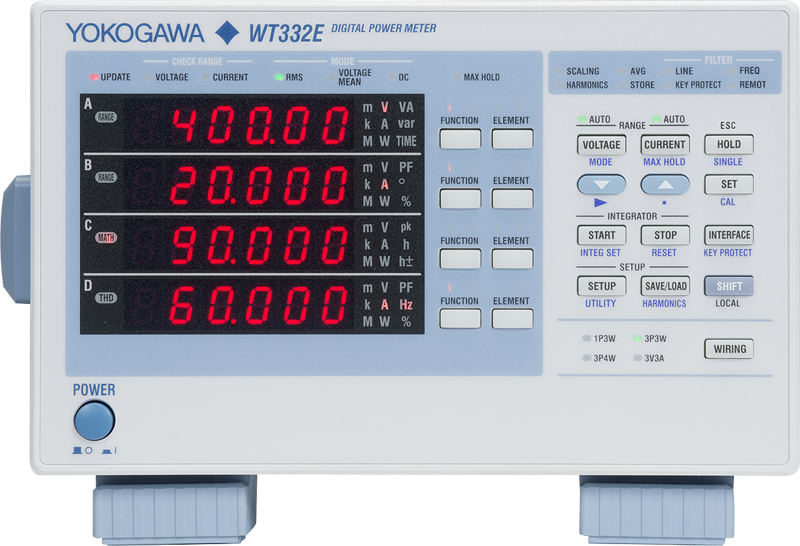 The WT300E Series Digital Power Analyzer provides extremely low current measurement capability down to 50 micro-Amps, and a maximum of up to 26 Amps RMS. 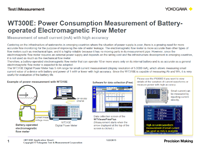 This instrument is ideal for engineers performing stand-by power measurements, Energy Star®, SPEC Power® and IEC62301 / EN50564 testing, battery charger and other low-level power measurements. 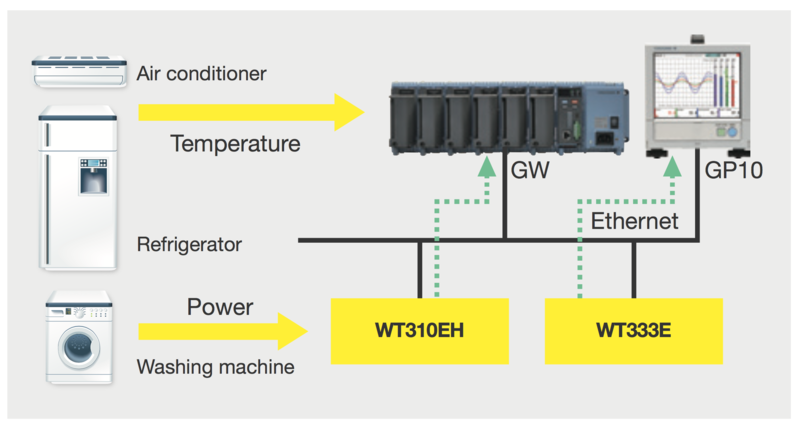 The WT300E's wide range of functions and enhanced specifications allows handling of all the measurement applications from low frequency to high-frequency inverters using a single power meter. Auto-ranging function available in selected ranges. 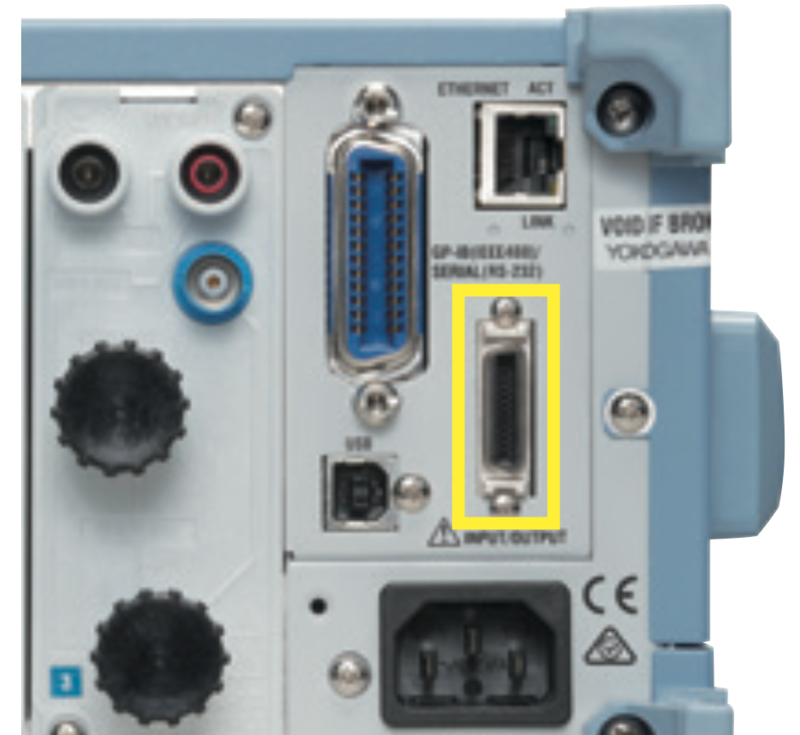 Direct Input: Maximum direct input of up to 600V and 20A, or 40A (WT310EH). 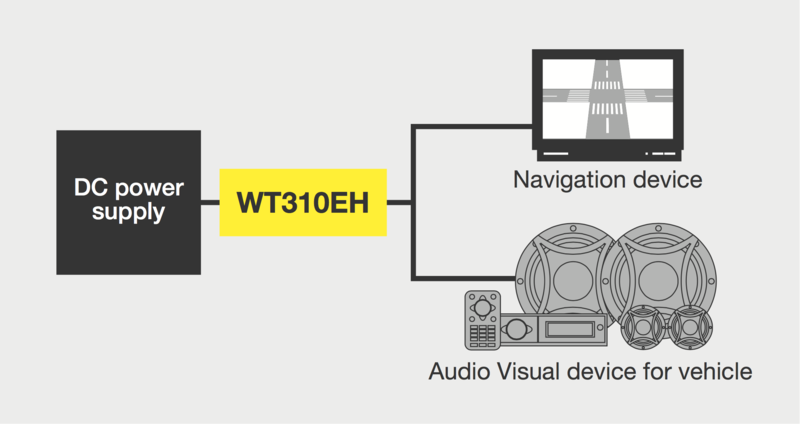 The wide current input ranges on the WT310E series, give users the option to measure current as low as 50 micro-Amps to as high as 40Arms (WT310EH). The WT300E Series Power Analyzers are easy to use, cost-effective, and accurate for a wide range of applications, such as production testing, evaluation, and research and development. 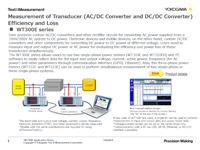 Simultaneous measurement of normal power parameters, harmonic components, and THD. Auto-ranging function for Integration mode. Users can use it to evaluate special waveform driven devices such as IH cookers and heaters. 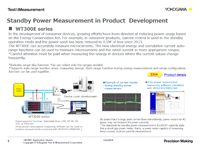 The WT300E series provides reliable current integration (Ah) and Energy (Wh) measurements for up to 10,000 hours. 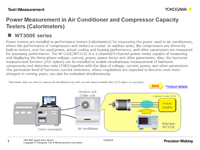 The D/A option can be used to transmit these measurements to an external data logger or recorder, such as a ScopeCorder, and monitor and log data along with other parameters, such as temperatures, torque, and rotation speed. 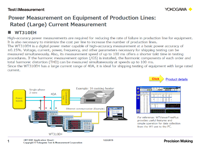 The Modbus/TCP communication with /C7 option is used to save and monitor the measurement results of up to 200 channels. 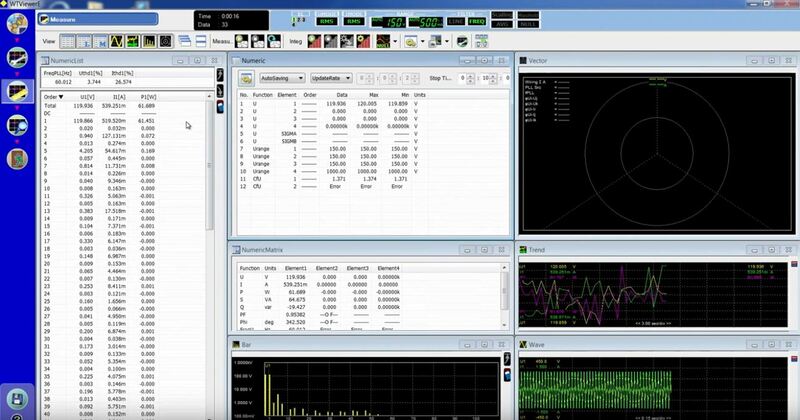 YOKOGAWA GA10 data logging software can be used directly to save data along with other parameters such as temperatures, torque and rotation speed by this Modbus/TCP Protocol. 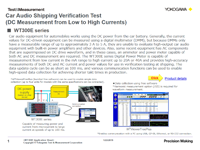 The WT300E series enables users to conduct conformity tests according to UPS performance testing standards. 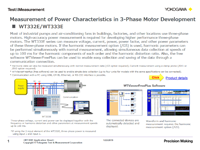 The WT300E series is used to measure and calculate input & output levels, efficiency, frequency, and THD. 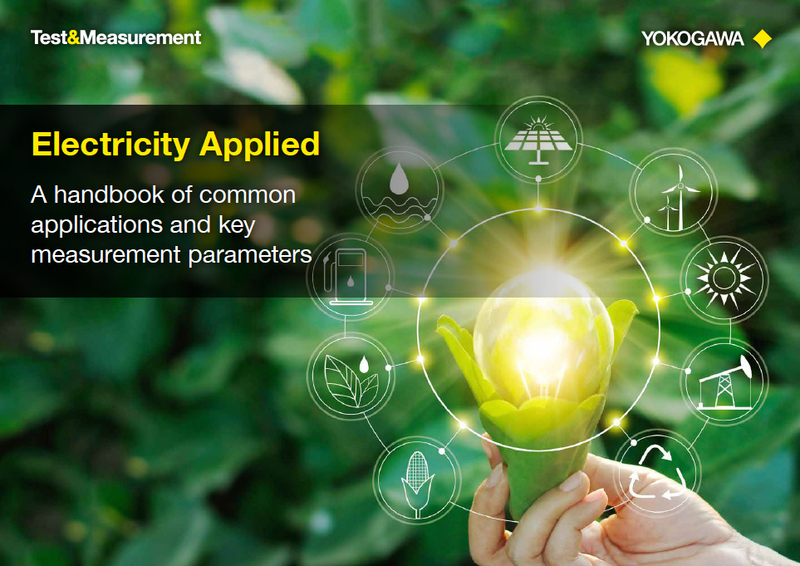 The average active power data also provides accurate values of power consumption. 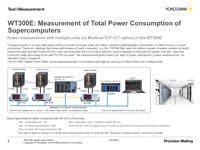 This equipment along with the WTViewerFreePlus software helps to simultaneously measure all necessary parameters required to test a UPS, thereby reducing the evaluation time.